Sponsored and Hosted by BLANCO. BLANCO is thrilled to be co-exhibiting at KBIS 2016 with Top Knobs and Hardware Resources! We’ve seen so many innovative products and launches so far this week. This year, along with launching some very exciting new products, BLANCO is a proud sponsor of Modenus BlogTourKBIS and KBTribeChat. As an exhibitor at KBIS, BLANCO decided to make our mark with several exciting new product launches: the BLANCO ARTONA™ faucet – a liveable dual-finish design offering coordinating colors with BLANCO SILGRANIT® sinks, a new stainless steel Floating Grid – a space saving sink accessory – and our most innovative new product, the revolutionary IKON™ apron-front sink. Introduced for the first time ever at KBIS, our stand out product launch, the IKON, is the first granite composite apron front sink made of our exclusive, industry-leading SILGRANIT® material. 1. Which was the most stand out product that you saw at KBIS 2016 or during #BlogTourKBIS events and why? 2. Product innovations – what did you see at KBIS and what would you like to see more of? 3. Let’s talk trends. What did you see? What do you predict is here to stay? Share pics or Pinterest boards! 4. What was your single favorite moment during KBIS 2016 or #BlogTourKBIS? Share pics or videos. 5. Accessories – how would you use an accessory like the BLANCO Floating Grid to save space in your kitchen? What other space saving ideas did you see? 6. What on-trend SILGRANIT color would you choose for your apron front sink? Anthracite, White or Café Brown? What other colors were trending at KBIS? We have a group Pinterest Board for KBIS sharing. Let us know if you’d like an invitation to pin with us there. Get Ready to LIVE IT at KBIS 2016! 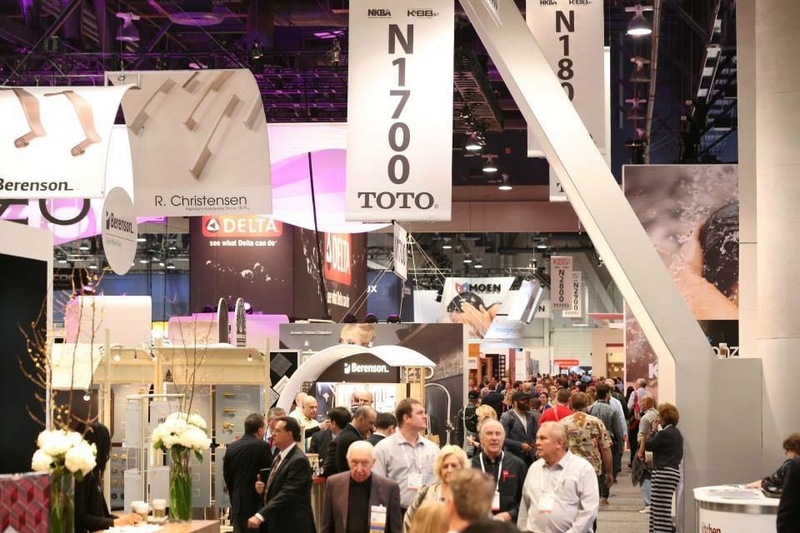 We’re kicking off 2016 and a new year of KBtribechat with #KBIS2016 excitement! The #KBISCountdown clock is ticking away and we’re excited to chat about what to expect this year at #DCW2016! • And, of course, our progressive #KBtribechat at the show with @CambriaQuartz, @WellbornCabinet, and @TOTOUSA. Plus, hear from our exhibitors on what to expect from their brands and their booths! JOIN US WEDNESDAY, JANUARY 6 AT 2:00 PM EST. Q1: Pre-registered attendance is up by more than 25% right now. What is your main reason for attending #KBIS2016? Q2: The Innovative Showroom Awards honors excellence in showroom design. What do YOU think makes a showroom stand out in 2016? Q3: #KBIS2016 is THE place for professional development. Are you attending any @thenkba #VFTI sessions? Presenting? Q4: We’re presenting the 1st ever #KBISDesignBites! If you only had 3 min. to tell your product/service story, what would you say? Q5: With all the action at #KBIS2016 #DCW2016, how do you plan to stay organized and see it all? Q6: How will you use social media during #KBIS2016? Q7: And to end off on a fun (and musical) note, what’s your favorite @halloates song? GO! Move over Autumn, It’s KBIS season! KBIS is hosting and sponsoring KBtribechat on September 2nd. Registration for the mega-event that is Design & Construction Week opens on September 1st so what better way to kick of #KBIS2016 than with our favorite tribe. We’re getting the ball rolling and we’ll be chatting with you about some of the newest initiatives at KBIS, as well returning favorites. • One pass, 4 events – your KBIS registration gives you entrance to all Design & Construction Week™ events including NAHB International Builders’ Show, International Window Coverings Expo, and TISE. • KBIS NeXT – We’re back with new stage programming, a new NeXT Bar, and so much more! • Returning favorites like the Innovative Showroom Awards, Best of KBIS, and Hard Hat Media Tour. • Educational opportunities from the NKBA. Q1: Your #KBIS2016 pass gives you access to 4 shows at #DCW2016. How has your game plan changed over the years? This year we’re introducing a brand new and exclusive initiative called KBIS Design Bites on the KBIS NeXT Stage. Exhibitors will have the chance to deliver a 3-minute presentation highlighting the story of their product to media and industry elite. Tune in to learn more! Q2: Exhibitors, what product would you want to present at #KBISDesignBites? Q3: #NKBAU is coming to #KBIS2016: http://bit.ly/HuGE0w. Planning on taking in any sessions, courses or speakers? Q4: Exhibitors! Jump in! Share your booth number! What can you reveal about your plans at #KBIS2016? Q5: Innovative Showroom Award year #2 is full steam ahead! Name some qualities of great K&B Showrooms. Q6: #BlogTourVegas is back. @Modenus, what’s the latest #BlogTour news? Q7: What’s on your agenda for after hours? @TheNKBA Bash? Restaurants to try? Shows to see?